How to Obtain Nigeria's NAFDAC Registration Certificate for Imported Food Products - Law Firm in Nigeria - Lawyers in Nigeria. The Lex Artifex Law Office has introduced the Food & Drug (F&D) Helpdesk to assist companies involved in the manufacturing, distribution, exportation, or importation of regulated food and drugs in meeting the requirements set by Nigeria’s National Agency for Food and Drug Administration and Control (“NAFDAC”). This publication provides the guidelines for obtaining the NAFDAC Registration Certificate for the exportation of food products to Nigeria. As per NAFDAC regulation, no food products can be manufactured, imported, exported, advertised, sold, distributed or used in Nigeria except such food product has been registered by NAFDAC in accordance with the provisions of NAFDAC Act CAP N1 (LFN) 2004, and other related subsidiary legislation. The common name of the product and the brand name (where applicable) must be stated in the application. A separate application is required to be submitted for each food product that is to be exported by a manufacturer to Nigeria. 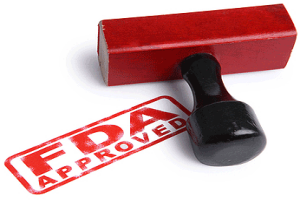 The following documents are required for the application for registration with NAFDAC. All the documents must be in the original form and accompanied by two (2) sets of photocopies each. 1. The Applicant’s Declaration notarized by a Notary Public in Nigeria. 2. A Power of Attorney issued by the manufacturer of the food product appointing Lex Artifex Law Firm to act on behalf of the manufacturer and to represent the manufacturer in matters related to the registration of the food product in Nigeria. The power of attorney shall indicate ‘Authority to register the product with NAFDAC’. The ownership of the Brand name(s)/Trademark must be clearly stated. The Power of Attorney must be notarized by a Notary Public in the country of manufacture. The Power of Attorney must be valid for at least five (5) years. Be authenticated by the Nigerian Embassy or High Commission in the country of origin. In countries where no Nigerian Embassy exists, any Commonwealth or ECOWAS country can authenticate the document. 5. 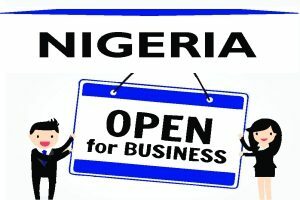 Evidence of business incorporation of the importer company in Nigeria. 6. Evidence of Registration of Brand Name with Trademark Registry in the Ministry of Industry, Trade and Investment. This should be registered in the name of the owner of the Trademark/Brand name as the case may be. Manufacturer Information: Name of Company, full location address of factory (not administrative office address), e-mail, and current phone no. Details (name, phone number, and email) of contact person overseas. Local Agent Information: Name of company, full location address, functional phone no., e-mail address. Details (name, phone number, and email) of contact person in Nigeria. Names(s) of product(s) for registration. Upon the successful screening of documentation and review of supporting documents, an Import Permit shall be issued after which the product will be submitted for vetting. Upon the satisfactory documentation review, the satisfactory GMP inspection of the production facility, and the satisfactory laboratory analysis of the product, the products shall be presented at the Approval Meetings. For products labels with compliance issues, compliant artworks may be submitted with a commitment letter from the manufacturer (stating that the commercial products will be in compliance). For product approved at the meeting, a Notification of the Registration or Listing of the Product shall be issued to the applicant. For the disapproval of a product at the Meeting, a Compliance Directive shall be issued to the applicant. Labeling by the manufacturer must be informative, accurate and in compliance with the Agency’s Food Labelling Regulations and the International Code of Marketing of Breastmilk Substitute Regulations (Control of Marketing of Breastmilk Substitute) and any other relevant Regulations. A failure by the manufacturer to comply with these requirements set by NAFDAC may lead to the disqualification of the application or lead to considerable delay in the processing of registration. A successful application will be issued with a Certificate of Registration with a validity period of five (5) years. Failure to respond promptly to queries or enquiries raised by NAFDAC on the application (within 90 working days) will automatically lead to the closure of the Application. The clock stops running when an issue is raised by NAFDAC for compliance. The foregoing provides only an overview and does not in any way constitute legal advice. Readers are advised to obtain specific professional guidance. Lex Artifex LLP, a business and commercial law firm in Nigeria, is the window for manufacturers, exporters, and distributors of regulated food and drug products seeking licensing in Nigeria and seeking access to the Nigerian market. We are the one-stop shop for legal compliance and due diligence services in Nigeria. We provide clients with legal guidance through every step of the trade process and beyond.